At Hickory, we treat every home like we are working on our own. We go the extra mile to not only make sure your home system is safe and working properly; we also make sure to prevent any future problems or point out issues that may arise down the road so that you are prepared. We refuse to take shortcuts, and we will make sure the job is still done promptly. We make sure the job is done properly the first time and pride our self in offering great service at a reasonable price. When you choose Hickory HVAC, we will make sure all of your heating and cooling questions are answered! We refuse to offer cheap work or shortcuts to "win" a bid to do the job. We do the job right the first time, and we make sure it will last. We will stick to the timeline we agree upon and will make sure the price is established up front with no hidden charges or fees. The best brand is by far, Carrier. 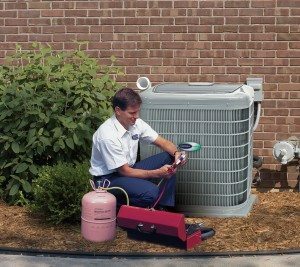 At Maynard Refrigeration Heating and Air, we are your local authorized Carrier dealer. We have an excellent track record of great work for over 50 years.